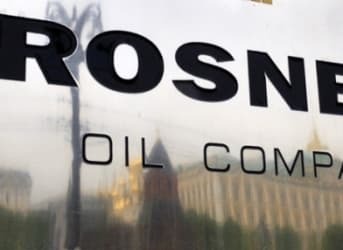 Russia is seeking observer status in OPEC, but the CEO of Rosneft, its largest oil company, said there is no chance that Moscow would want to become a member. In fact, he severely criticized the cartel, saying its decision not to cut production and shore up oil prices had destabilized the world market. The reason, he said, was structural. “[W]e can’t operate like OPEC because our industry is privatized and we have shareholders and we need to look after our shareholders’ rights,” he said. Sechin also launched into a tirade against OPEC’s practices, which he said led to a “destabilization” of the oil market. Globally, oil prices began falling in June 2014 in response to increased production, primarily from US shale oil fields and weaker demand in Europe and Asia. After the meeting Saudi Oil Minister Ali al-Naimi said the cartel’s strategy was to regain market share lost, in part, to the United States by reducing crude prices to the point where relatively expensive shale extraction ceases to be profitable. Many OPEC ministers and delegates have blamed not only the United States but also other non-OPEC producers such as Kazakhstan, Mexico and Russia for the oversupply. But two members of the cartel, Venezuela and Iran, which rely heavily on oil revenues to finance their governments, have said OPEC also shares the blame. In fact, in January, Venezuelan President Nicolas Maduro met Russian President Vladimir Putin in Moscow as part of an international tour to persuade leading oil producers to cut output. So far Maduro’s tour has been in vain. Russia isn’t doing much better than Venezuela. It may be the world’s largest oil producer, but energy represents is primary commodity. The 50 percent drop in oil prices since June, combined with sanctions imposed by the European Union and the United States over the crisis in Ukraine, have left the Kremlin with too little revenue to run the country and a severely devalued ruble. In its annual outlook issued Feb. 10 in London, the International Energy Agency (IEA), which advises industrialized countries on energy policy, said it expects oil prices will bottom out fairly soon and rebound, although probably not to levels above $100 per barrel. The IEA said the US shale industry probably would survive the current period of low prices, but that Russia eventually would be the “top loser” in the industry, and that OPEC may never regain its leading status.